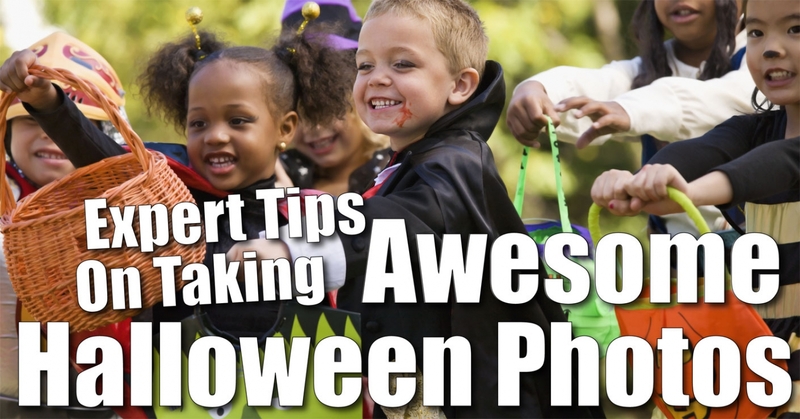 Expert tips to take awesome Halloween photos. A night filled with candy and costumes is a night that gets talked about for years to come. Enhance your family’s holiday reflections by taking awe-inducing photographs that illustrate your amazing memories. The following five suggestions will help you capture the Halloween spirit on camera. Tell stories. Think of each photo as a key part of your family’s Halloween night of fun. Then surprise the family with a photo book that presents a memento of your little ones all dressed up. KodakGallery.com and Snapfish.com have wonderful options for creating reasonably priced photo books. Move your body. Hold the camera up high and point down for a bird’s-eye view of a Halloween scene. Crouch down low to see what your little pirates and princesses see. Get in close and also go wide. Race way ahead of your trick-or-treaters on the sidewalk, before turning around to capture them walking toward you. Get a few shots of the costumed flock from behind too. Don’t fear the blur. While light is plentiful, get documentary-style shots of everyone in costume prior to going trick-or-treating. Once evening arrives, turn off your camera’s flash and see what happens. Instead of the usual crisp images, you’ll get some spooky effects that show motion and energy, a nice addition to traditional photos. Experiment like a mad scientist. Most image editing programs allow you to convert colored images to black and white. Experiment with a few photos to see if conversion improves them. Sometimes a so-so photo, especially one with distracting background elements, can actually become a great photo this way. Slash and burn. Not every picture has the wow factor. Before you post your pictures online or make an album, choose only the photographs that make you react aloud. Trust your instincts and let your emotions help you decide which pictures to feature. Twenty terrific photos won’t look as terrific if they are mixed in with several dozen just OK photos. Follow these tips and you are guaranteed more treats than tricks in your family’s Halloween album. Erin Nelson, a family photographer in the San Francisco Bay Area, created ErinLeigh Photography to produce original, candid and documentary-style photographs through maternity, baby, child and family sessions. Established in 2006, ErinLeigh Photography captures families’ unique stories through on-location sessions, creating memories to last a lifetime. For more information, visit erinleigh-photography.com.